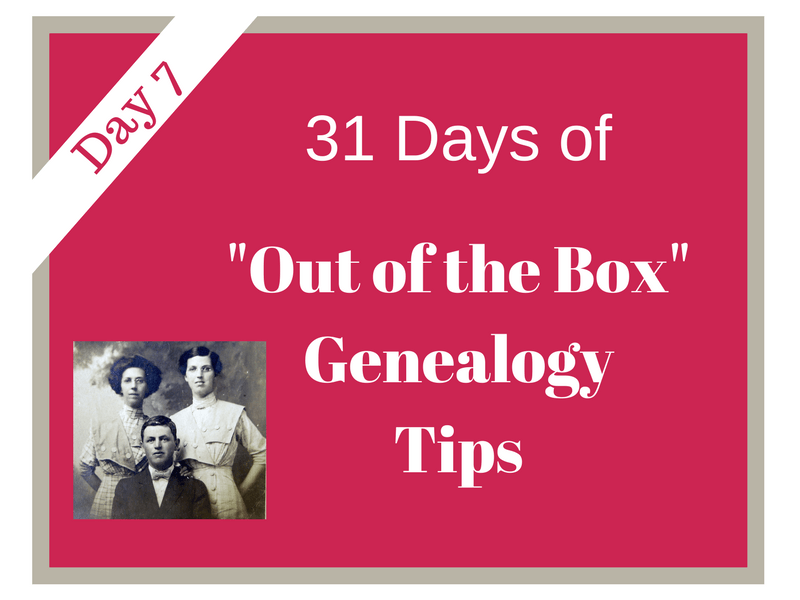 Welcome to DAY 7 of the 31 Days of “Out of the Box” Genealogy Tips series! Need to start at the beginning of the series or catch up? Start here. 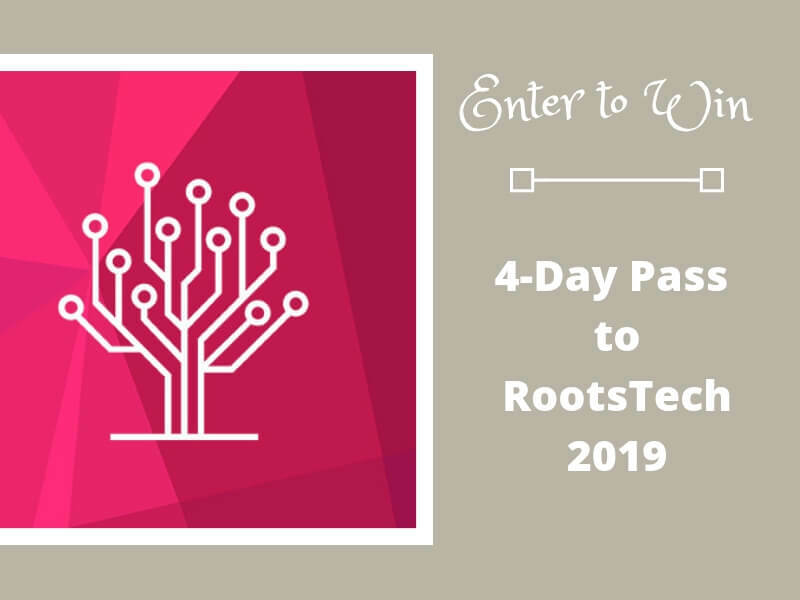 DAY 7 – Unplug Your Genealogy Research! You have heard it before – Not everything you need for your genealogy research can be found online. Yes, new records are being added at a record pace, but at some point, your research will need to go offline. 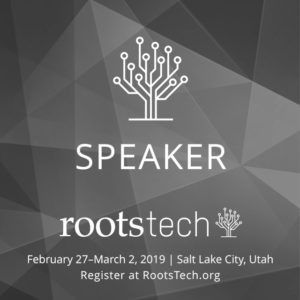 Let’s talk about WHY you want to unplug your genealogy research. The most important reason to unplug or go offline is you explore other record options for your ancestor that might otherwise go unnoticed in your research. You will also gain a new perspective on your ancestors’ lives and with that perspective, insight into the types of records they may have created. What Does “Unplug Your Genealogy Research Look Like”? Unplugging your genealogy will look different for everyone, but here are some examples you can do when researching genealogy offline. Explore the vertical files in a local library or repository. Gather family stories and oral histories by calling or visiting family members. Don’t forget those distant cousins! Take a drive through the county and area where your ancestors lived. You will get a perspective on the size of their property and the distances they covered. Read a history of the area where you ancestors lived. Understanding their culture and the history of the area will give you a better perspective on their lives and the records they might have generated. Visit a local courthouse to research those records not online. Explore a cemetery where your ancestors are buried. 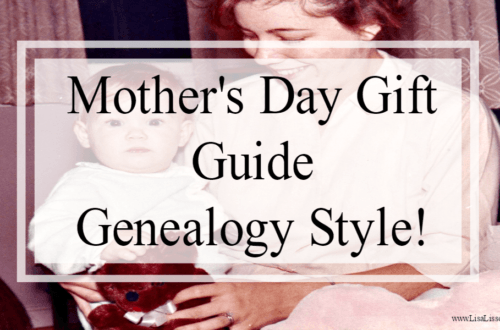 Perform a Random Acts of Genealogical Kindness. Tip: Keep a running list of offline genealogy research tasks, and periodically work through one of those items. What is YOUR first “unplugged genealogy” task? 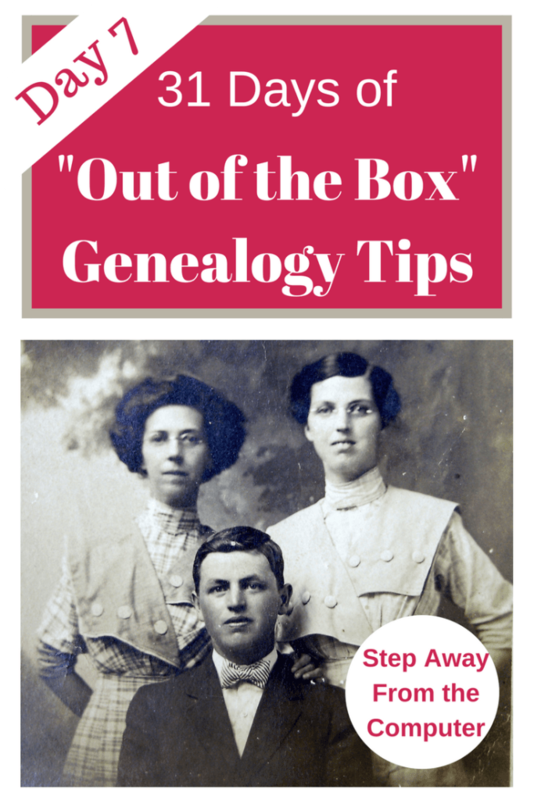 31 Days of "Out of the Box" Genealogy Tips - Facebook Groups | Are You My Cousin? This article reminds me to take a breath. The world is not just direct line. I have checked out books from the local library (interlibrary exchange) on locals that were home to different branches of my family and learned about what their world looked like and the struggles they faced; drought, borders, populations, etc. I have over time, connected with the Historical Society and met them at the properties they helped me locate that my family owned. This eventually gave birth to a family gathering on the property and a whole weekend of visiting family sites and telling the stories we had uncovered together. The locals were thankful for the additional insite in their local history too, so it was a win-win. 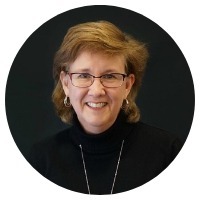 Personel connections bring all our research alive. Great reminder Lisa! 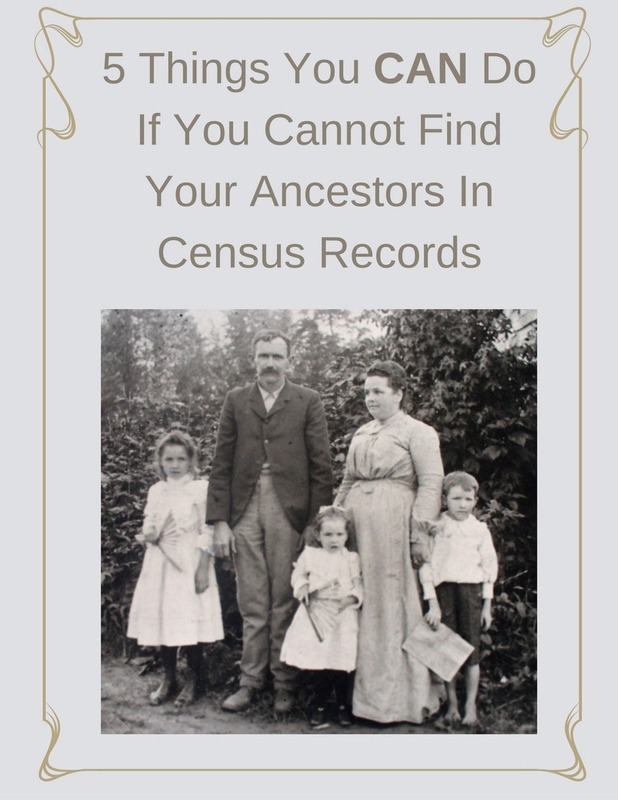 31 Days of "Out of the Box" Genealogy Tips - School Records | Are You My Cousin? If distance does not allow you to visit a cemetery or courthouse in person, you can also ‘unplug’ by calling or writing for records. 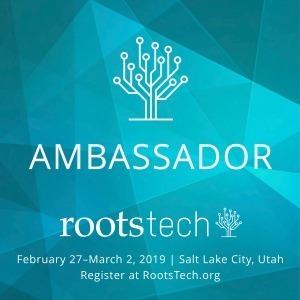 You can also attend genealogy classes or conferences at your local library or society to get an ‘in person’ experience of other’s research habits.